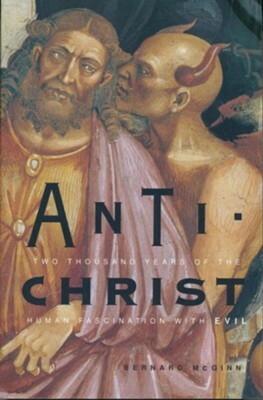 In this timely and sweeping exploration, one of the greatest living historians of Christian thought traces the concept of Antichrist from its Judeo-Christian origins to the present day. Rooted in Second Temple Judaism--a period of intense religious and political disruption--Antichrist developed out of belief in malevolent angelic and human forces. McGinn demonstrates how Antichrist has often reflected the human need to comprehend the persistence of evil in the world, and examines how it has haunted popular imagination in both the form of indivuduals--such as Nero, Napoleon, and Saddam Hussein--and groups--Jews, heretics, Muslims. I'm the author/artist and I want to review Antichrist: Two Thousand Years of the Human Fascination with Evil.